voices. She swallows hard and I am almost there. It is almost like kissing. 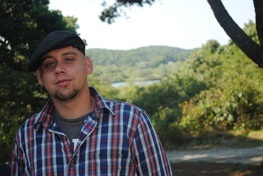 Corey Zeller is the author of Man vs. Sky (YesYes Books, 2013). His work has appeared in the Kenyon Review, Mid-American Review, The Colorado Review, Diagram, Puerto del Sol, Salt Hill, West Branch, The Literary Review, New York Tyrant, Chorus (MTV Books), among others. He currently serves as an associate editor at Mud Luscious Press and a social media wrangler for H_NGM_N BOOKS.